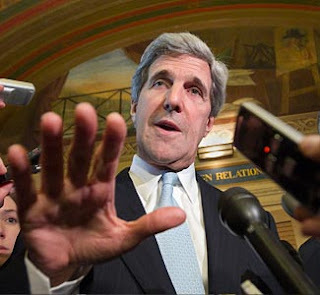 John Kerry warns Russia “not to send the wrong message”? Gee John, what message do 2000 troops landing say to you? If this is valid, it sounds like we may have a legal obligation to defend Ukraine. Wonder if the memorandum has a red line in it? 0bama ignores any laws/treaties he doesn't like, so I'm not too concerned about this specific threat. A White House official emailed some reporters to say that President Obama's team met today to discuss the ongoing situation on Ukraine. It appears President Obama did not attend. "The President's national security team met today to receive an update on the situation in Ukraine and discuss potential policy options. We will provide further updates later this afternoon," reads the full statement. Hard to take any of this seriously when his Highness is more concerned with his putting game than with what everybody is calling an "international crisis". 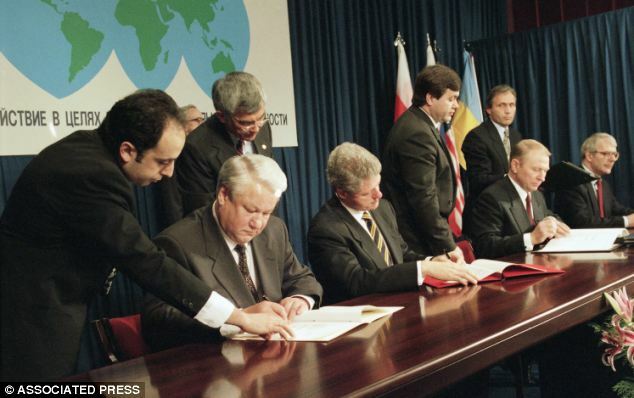 I've heard nothing of this Budapest Memorandum agreement on the news. What I did hear is that since Ukraine is not part of NATO the US is not obligated to use its military to defend it. I've heard nothing of this Budapest Memorandum agreement on the news. This Memorandum was the biggest bit of news in 1994 if I recall correctly. It generated so much excitement, Peter Jennings threw up on air from the dizzying excitement he experienced as he broke this story. And let's not forget all the Memorandum watching parties that sprung up all over the country around the time. I believe it was even a central theme in an episode of Friends that year. How could you not be aware of this amazing bit of diplomacy? "Uh, let's see, Clinton, Major, Yeltsin and Kuchma...aren't they all dead now?" "Yeah, hold on just a doggone minute here!" I don't think the Budapest Memorandum is tied to NATO. I think it was a tri-lateral agreement between the U.S, Britain and Ukraine.